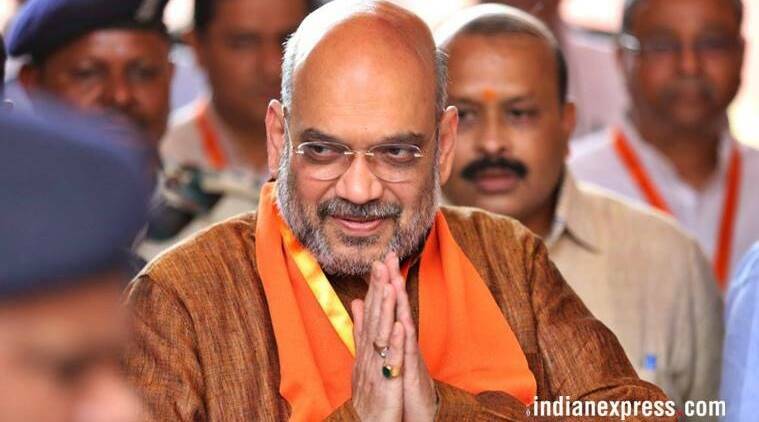 Shah said that with the 2016 surgical strikes conducted across the LoC, the government exhibited its political willingness to take on the country's adversaries. “Prime Minister Narendra Modi has ended politics of appeasement, dynasty and casteism, and ushered politics of development,” Shah said. Prime Minister Narendra Modi has ended the politics of appeasement and dynasty, and ushered in politics of development, BJP President Amit Shah said Saturday. Shah, during a press conference, also listed the achievements of the NDA government on its fourth anniversary, Shah said. He said that with the 2016 surgical strikes conducted across the LoC, the government exhibited its political willingness to take on the country’s adversaries. The BJP president said the government has also resolved the long-pending issue of One Rank One Pension within a year of coming to power. He also said that several measures such as the constitution of an SIT to curb black money were taken by the government. The black money issue was one of the main poll planks of the BJP during the 2014 election campaign. “Modi dispensation is sensitive and committed towards development of villages,” Shah said, noting that while focusing on the rural areas, due emphasis was also given to urban areas.